Your Vision. My Words. Your Success. The magical power of effective real estate copy can propel your business to unimagined heights. The words you use in your marketing materials, on your web pages, and in your emails have to work - seamlessly and without fail. Each word must be chosen intentionally. The right words will reassure your prospects that you're the right person to help them solve their real estate problems. You need a steady stream of buyer and seller leads in order to reach your production and income goals. The most effective way of doing this is to tap into the kind of paid traffic Facebook ads can give you. 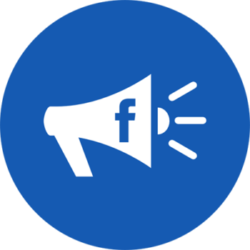 The challenge you face in assessing whether Facebook advertising is the best option for you is the fact that hundreds of so-called real estate advertising specialists are vying for your marketing dollars. You've likely seen their ads and heard their promises. The Real Estate Writer specializes in Facebook real estate advertising and can help you bring the right blend of targeted, qualified prospects into your world so you can close more deals... You can trust my experience and my results. The secret to maximizing your real estate marketing efforts is to identify your ideal client so you can more effectively and efficiently market only to the right people. The way you do this is by carefully analyzing your business, your strengths, and the demographics of your very best clients... and then adjusting your marketing to capitalize on only the best opportunities. I meet all deadlines. No excuses. No exceptions. You need real estate copy that will convert. Here's the reality: There aren't many real estate copywriters - and even fewer real estate writers - who can dependably deliver effective, high converting copy. There are even fewer who can grasp the concept of real estate copywriting - and can redefine what it means to write captivating real estate sales copy. I'm Ken Speegle, also known as The Real Estate Writer. Since 1994 I have focused 100% of my creative energy on helping real estate brokers, agents, and investors connect with prospective clients by grabbing their attention, then dazzling them with compelling real estate copy while the magic of my one-of-a-kind writing style closes the deal. (or expand your real estate empire) then you're in the right place. TREW to you and your real estate business goals, The Real Estate Writer brings a refreshing level of honest copy to the real estate industry, delivered in a down-to-earth fashion that resonates with readers of all backgrounds. This ensures that your real estate copy standards a fighting change of being read - and acted upon. Real estate professionals everywhere are still searching for that magic bullet that can help them get their foot in the door, begin a conversation with prospects, then - when the moment is right - sell something. And it doesn't matter if that something is your real estate reputation, your knowledge, or a physical (or digital) product. Guess what? My real estate copywriting just might be that magic bullet. And I'm right here, ready to spring into action when you are. Now, here's the good news: even if you can't write compelling real estate copy to save your life, success is at hand. Better yet, you can succeed without having to babysit a copywriter who knows nothing about the nuances of the real estate industry. 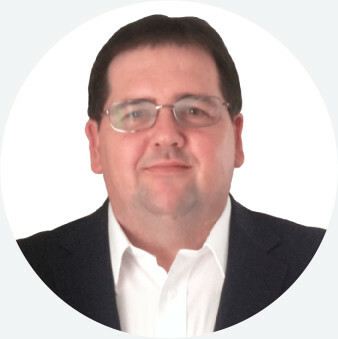 …I'm available to help you reach the pinnacle of success in your market. Your goals are just that - goals - until you take control of your destiny and make the decision to seek out qualified real estate copywriting talent. There are lots of reasons you should stop what you're doing right now and learn more about why The Real Estate Writer should be your only real estate copywriter. Ken handled most of the copywriting for our real estate website. His writing style is very personable, flows well, and is well thought out. Along with the quality copywriting, he is a pleasure to work with. Top notch communication throughout the entire project. We made the right choice when we chose Ken to handle our project. Ken Speegle has absolutely changed our marketing results. After retaining his real estate copywriting services, we have seen a significant increase in lead responses. A truly knowledgeable real estate industry insider. ...blown away with the results. I have tried many real estate copywriters before. Ken clearly stands out at the top of his field in Real Estate Copywriting! The best 10K I ever spent! Great real estate copywriter. Amazing results. What more could I ask? 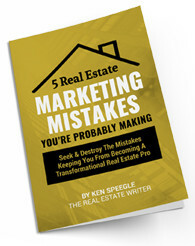 I’m much wealthier because of Ken Speegle’s real estate copywriting and profit-boosting results! This was my first time using Ken Speegle for my real estate copywriting needs, and for sure not my last. I trusted him with my Real Estate Speaking Bio and the flow he put together was FANTASTIC. Even more impressive was his response time. He knocked it out over the Thanksgiving weekend. After talking to Ken on the phone, I can tell he is a real estate copywriting PRO and loves his work. He is also extremely easy to relate to and work with. He is not cheap, but on the flipside, I want my material to attract the best clients so I know in the long run it will more than pay for itself. Ken Speegle is the World's Greatest Word Architect! If you clicked this link expecting to read the typical, boring real estate copywriting profile, you might be disappointed. While some people thrive on discussing themselves in the third person, I don’t. I think it’s cocky and more than a little stuck up… sorry – ostentatious. Instead, here’s a little information to help you understand how I approach real estate copywriting and real estate writing, and how I can help you reach your real estate goals. Copyright © 1994-2018 Speegle LLC. All rights reserved.